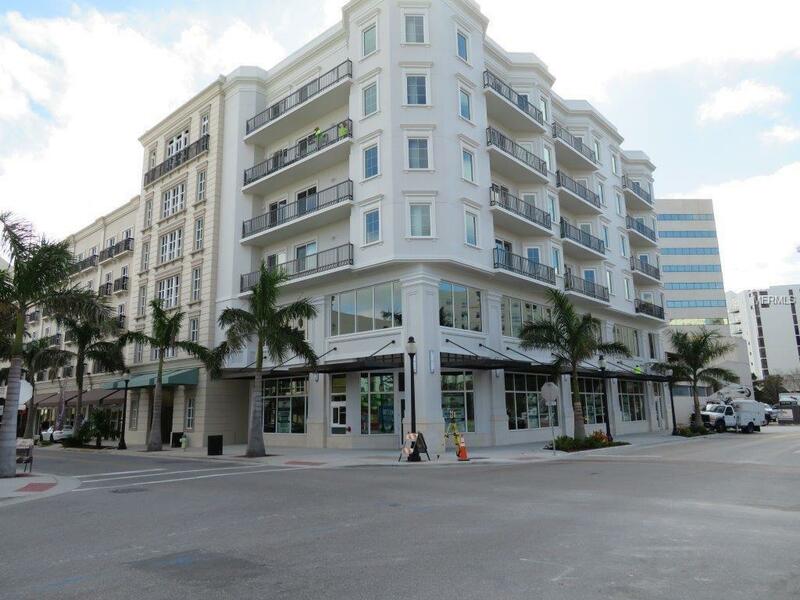 Indulgent urban living in the heart of downtown Sarasota! 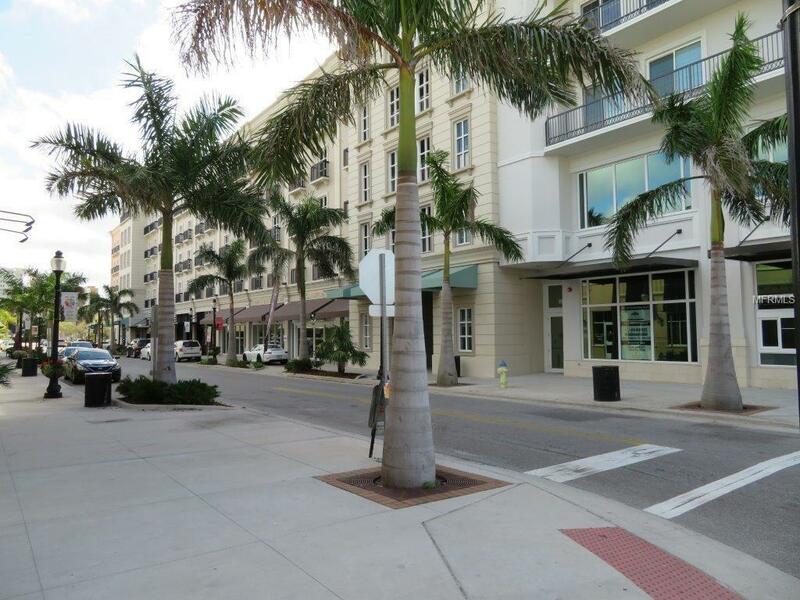 Alluring, brand new mid rise located steps from beautiful Sarasota Bay Front. Stroll out the door to fabulous restaurants, cafes, art galleries and cultural venues that make Sarasota the jewel of Florida's west coast. Pamper yourself in this dynamic 5th floor corner unit that offers panoramic views of the city. 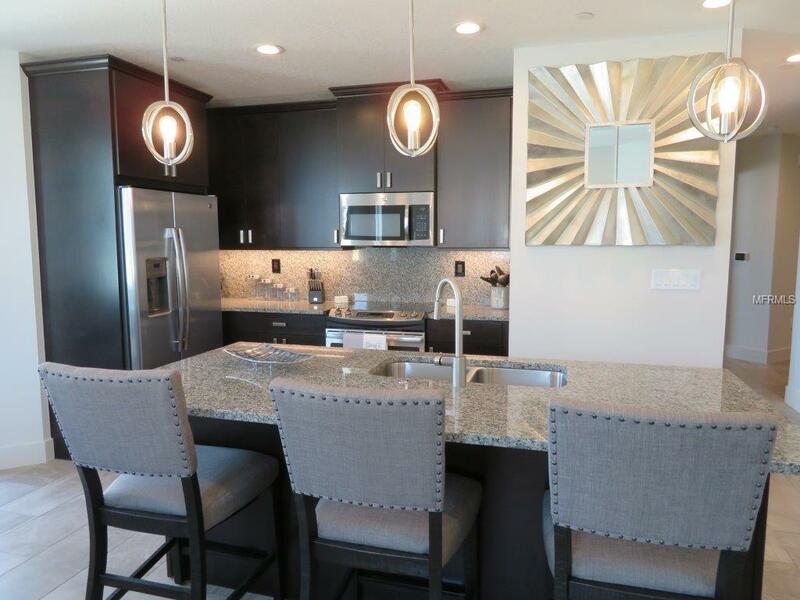 Modern interior offers 10" ceilings, porcelain plank tile throughout, soundproof interior, sleek gourmet kitchen w/island, contemporary cabinets, stainless appliances, granite counter tops and fully stocked for epicurean inventions. The open floor plan allows eye-catching views from every angle, including peek-a-boo view of the bay. Comfortable, contemporary funishings make for a tranquil retreat including spacious master with en suite, walk-in shower, smartly appointed organized closet, spacious guest room with lavish 3 piece guest bath including oversized walk-in shower. 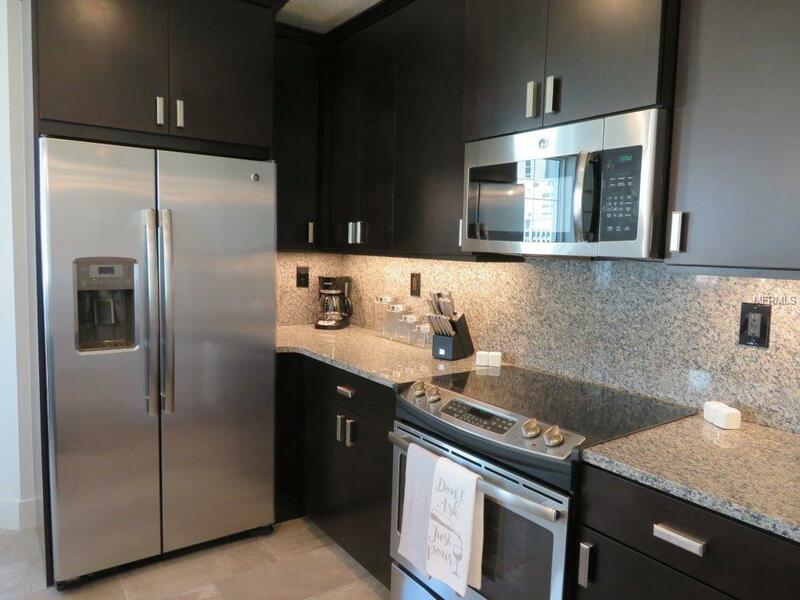 3 flat screen tvs, washer/dryer in unit, private parking steps from the entry, expansive balcony, west and north exposures. 30 day minimum.